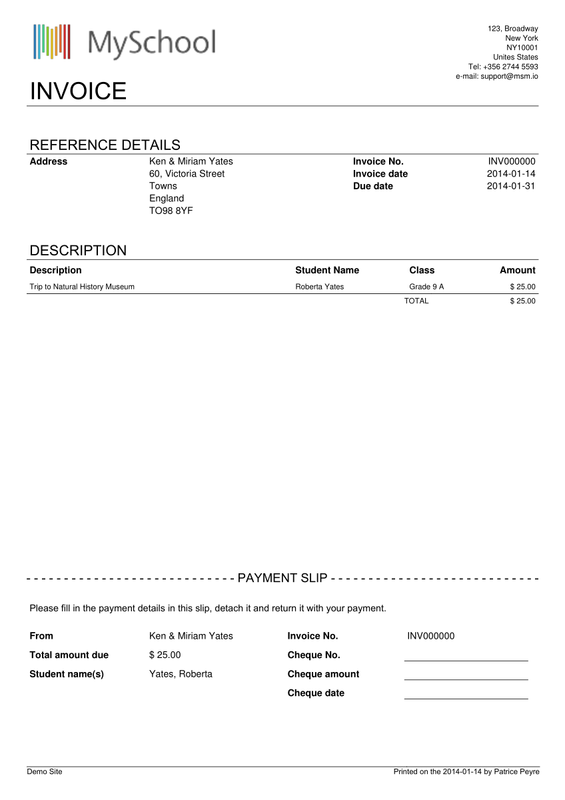 Issue invoices, payment receipts, credit notes, etc. 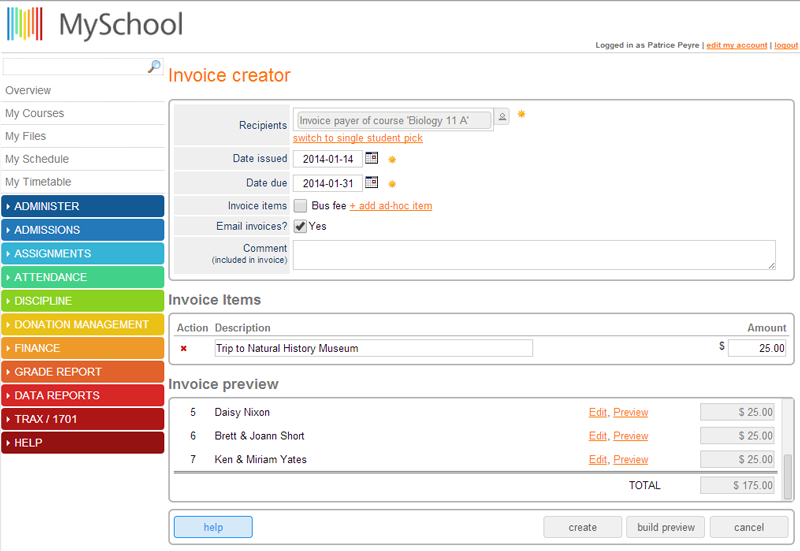 Before using MySchool Easy Invoicing, it used to take Analise 2 days to invoice all parents. It now takes 10 minutes and is more accurate.